Sail through the beautiful islands of French Polynesia where you'll be able to enjoy some of the clearest waters in the world perfect for snorkeling diving, and seeing exotic fish. The sharks are nice, we promise! The Maasdam, along with sister ships MS Statendam and MS Ryndam, was the world's most technically advanced in terms of stability and maneuverability when she was launched in 1993. The ship underwent a multi-million dollar refurbishment in 2006, adding dining venues, a culinary arts center and all-new cabin amenities, including flat screen televisions and DVD players. An additional upgrade occurred in 2016. The ship carries 1,258 passengers and 580 crew. 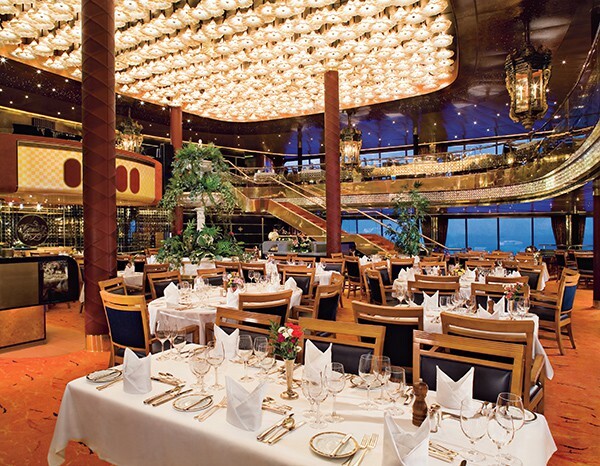 Maasdam’s smaller size gives her access to many off-the-beaten-path ports of call. It is the only Holland America Line ship outfitted with inflatable Zodiacs, so passengers can get into smaller landing spots to see nature, history, and culture up close with these agile dinghys. Maasdam participates in an "Explorations Central™ (EXC™)" program, an immersive onboard experience designed to make your voyage more engaging, vivid and meaningful. From EXC Talks,™ to EXC Encounters™ to a chat with your EXC Guide™, you’ll feel the destination area come to life. From a winter and spring schedule departing from Singapore, the Maasdam cruises to dream destinations in the South Pacific, including little-known ports of Kitava, Luganville and Mystery Island. She cruises around Australia and New Zealand before crossing the Pacific and heading to the northwest coast of North America and Alaska. The Maasdam sails from San Francisco during the summer months. The ship's ten enclosed passenger decks include six stateroom types, and some are equipped with sofa beds for additional guests. The beds are Holland America's signature Mariner's Dream beds with plush Euro-Top mattresses. Cabins include a safe, mini-bar, hair dryer, DVD player and flat screen TVs. The Inside Staterooms have two lower beds convertible to a queen-size bed and a shower with premium massaging shower head. A couch and desk are included. Ocean View Staterooms offer a queen-size bed or two lower beds, a small couch and a desk. The shower has a premium massaging shower head. This room offers views of the ocean through a window or porthole. The Lanai suites are located next to the Promenade and have access to the outside via mirrored sliding glass doors. The two lower beds are convertible to a queen-size bed with Euro-Top mattress. The room includes a desk and small couch. The Vista Suite has a queen-size bed, floor-to-ceiling windows and a teak-lined verandah. The bathroom has a whirlpool bath and separate shower. The comfortable sitting area includes a mini-bar and refrigerator. This spacious suite has a king-size bed and sofa bed and is equipped with a full-size whirlpool bath and shower. There is a large private verandah and a sitting area with mini-bar and refrigerator. Amenities include use of the exclusive Neptune Lounge, a private concierge and an array of complimentary services. The largest stateroom onboard, the Pinnacle Suite has room for 4 guests. A separate bedroom is furnished with a king-size bed with plush Euro-Top mattress, a dressing room and bath with whirlpool tub. A sofabed and guest bathroom are included, along with private stereo, concierge, free treats and access to the Neptune Lounge. Onboard the Maasdam, guests are treated to an immersive program that teaches them the culture, music, cuisine and interesting history of the locations they visit. Whether the ship is in Alaska or the islands of the South Pacific, passengers can find lectures, seminars, cooking classes and entertainment that revolves around that corner of the world. These in-depth voyages are part of the Explorations Central program, or EXC. Shore excursions by small Zodiac boats reinforce the cultural information, taking guests to tiny out-of-the-way villages and attractions. Back on board, passengers can relax and recover at the elegant Greenhouse Spa & Salon, where spa services include facial treatments featuring premium, naturally sourced ingredients. Nurture your body, too, with massage treatments employing time-honored, hands-on massage techniques gleaned from around the world. There are tanning decks and swimming pools for the sun worshippers, and of course, guests can have an exciting evening in the casino. For a nightcap or a little dancing, there are musical venues and quiet bars. The newest lounge is called Mix, where three different clubs come together without walls, each serving its own specialty cocktails. At the Crow's Nest, there is disco, rock and dance music. 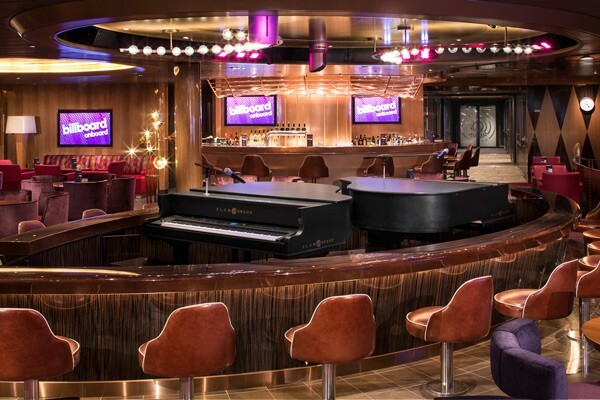 And in the Showroom at Sea, guests can find music and dance extravaganzas along with comedians and magicians. The venue has been redone with new comfortable seating in couches and settees, and refurbished decor. 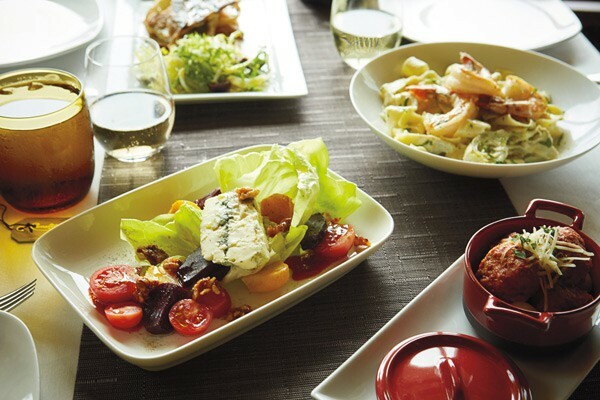 Holland America Line is known for its culinary excellence, and the included dining options, along with the three specialty restaurants, present a delicious culinary experience on the Maasdam. Choices range from American fare to Italian staples to an elegant afternoon tea. Vegan and gluten-free options are available throughout the ship. Main Dining Room - The Grand Rotterdam dining room is a two-story dining venue open for breakfast, lunch and dinner with a variety of menu options, including vegetarian and locally inspired cuisine. Dinners are served in three courses, so appetizers and desserts are included. Guests can opt for pre-set seating and dining time, or take advantage of a flexible option. Lido Market - This buffet has great views through floor-to-ceiling windows and is open for breakfast, lunch and dinner. Lido is a marketplace-style buffet in a cafeteria setting, where passengers select items from various stations, along with several made-to-order options. There is no extra charge in the Lido Restaurant. Dive-In Grill - On the Lido Deck, you can find the snack foods you crave at the Dive-In Grill: hamburgers, pizza, sandwiches and hot dogs. Open for lunch. No extra charge. Explorations Cafe - Sharing space with the Crow's Nest in the front of the ship, Explorations Cafe offers snacks throughout the day including fruit cups, yogurts and pastries in the morning; finger sandwiches and cookies midday; and sweets in the evening. Afternoon Tea - Served most afternoons in the Ocean Bar, afternoon tea offers a variety of teas, finger sandwiches, pastries, scones and a variety of sweets such as profiteroles, tiramisu and fruit tartlets. Pinnacle Grill - Truly a pinnacle of dining experiences, this exclusive restaurant serves world-class cuisine on the finest china and crystal. A premier dining venue, the Pinnacle also has an extensive international wine list. Cost is $35 per person. Le Cirque is only open for one night per sailing, in the same dining room as the Pinnacle Grill. This acclaimed restaurant received the James Beard Award for Restaurant of the Year, so you know it's a special experience. Cost is $49 per person. Canaletto - Named after a famous Italian artist, this Italian-themed restaurant serves a variety of Italian and Mediterranean specialties, including vegetarian options. Three courses are served for $15 per person. Free prepaid gratuities & more!